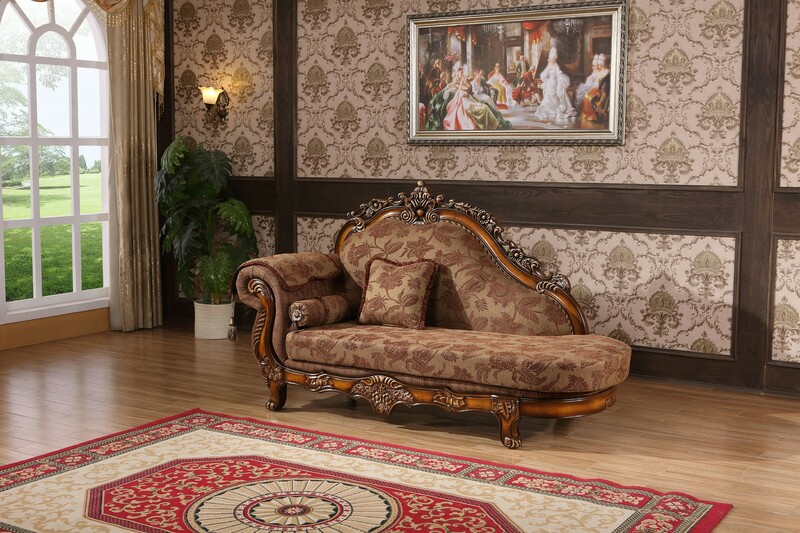 If you are fond of traditional wooden furniture, then this living room set with French provincial look is sure to impress you and your guests too. 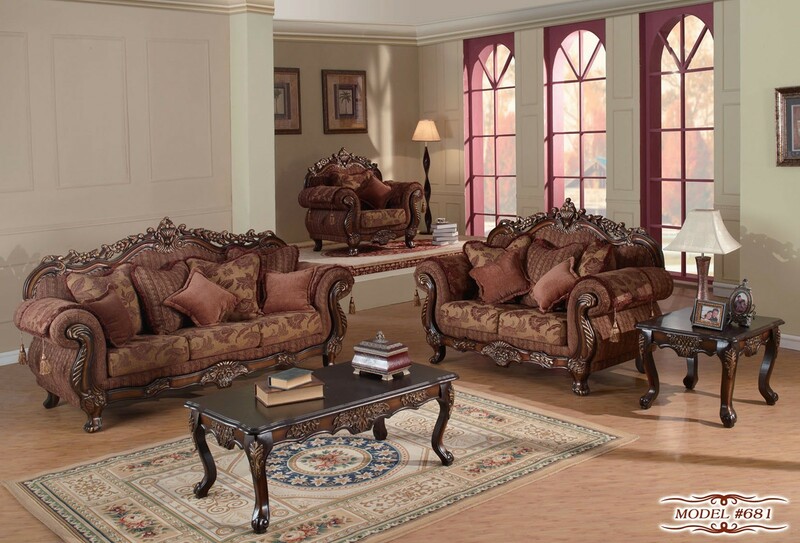 The wooden frame of this set is sturdy and beautifully artistic giving it a royal look. 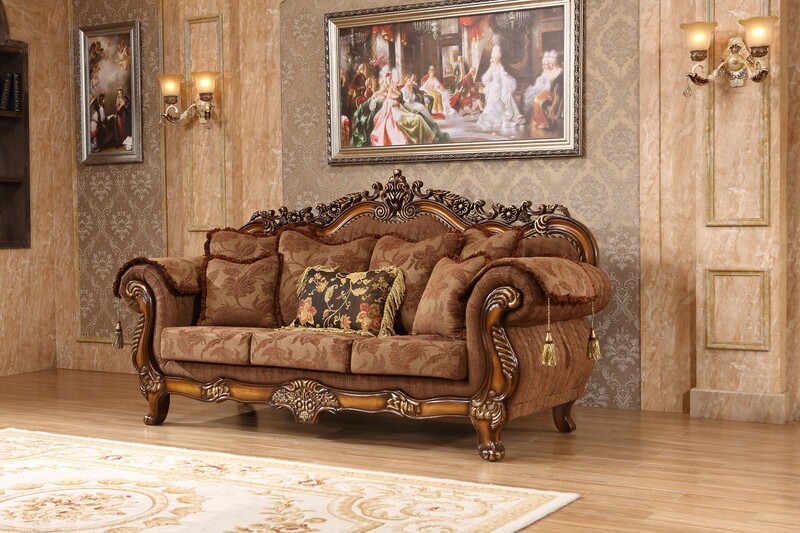 The wooden frame reflects artistic craftsmanship and grandeur. 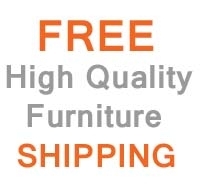 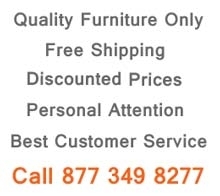 The sofa set includes chair, chaise, loveseat and sofa, and you can purchase together as a set or in any other combination. 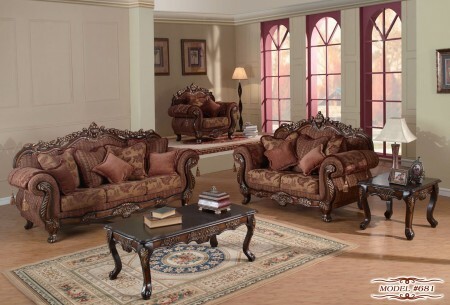 The attractive printed imported brown upholstery compliments the sofa set perfectly. 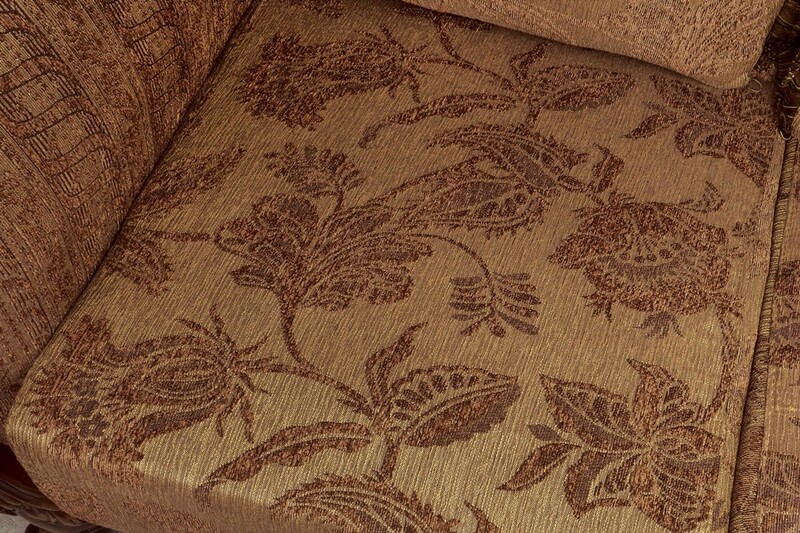 Another feature is removable backs for added convenience.